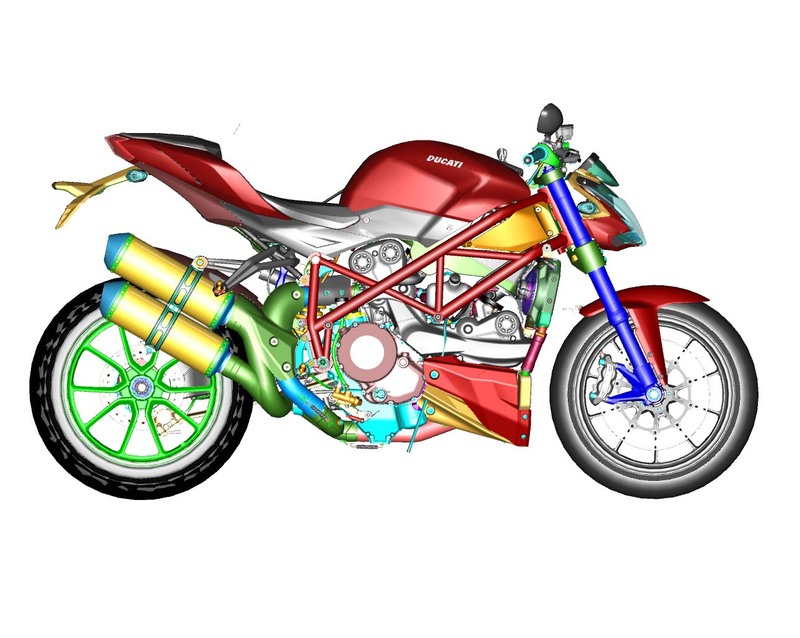 Overall, our impressions of the 2012 Ducati Streetfighter 848 was that the new baby Fighter from Ducati, is a well-improved upon successor to the original Ducati Streetfighter 1098. 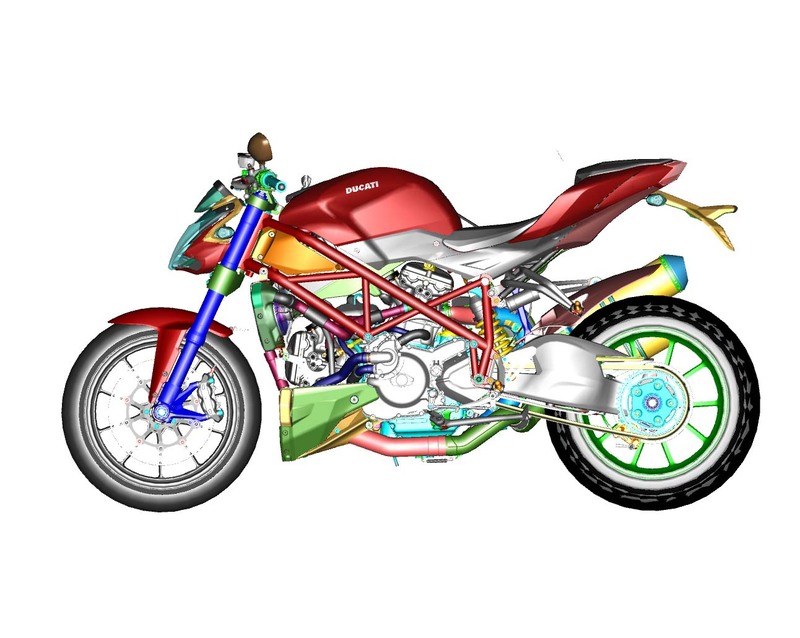 Helping differentiate the SF848 from the higher-spec, though otherwise identical, Streetfighter 1098 S, the Streetfighter 848 takes the geometry from the Ducati Superbike 848, which means it gets a much-better handling 24.5° rakes. 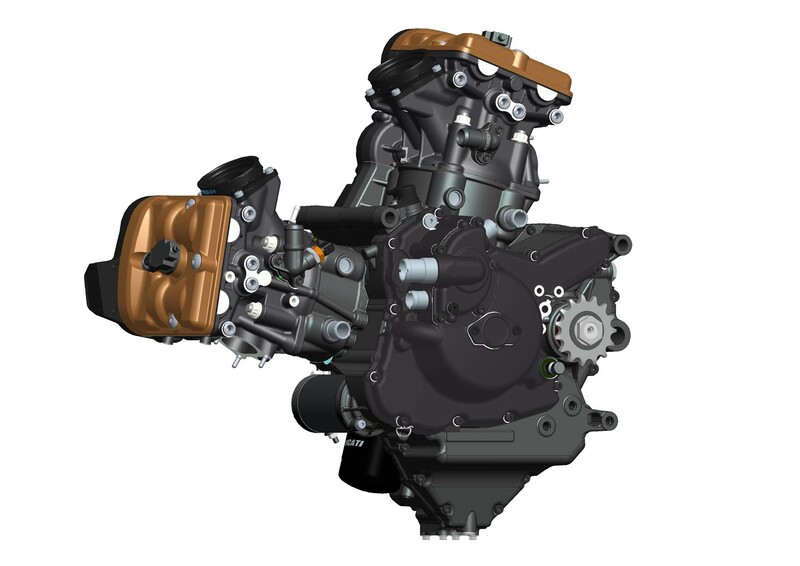 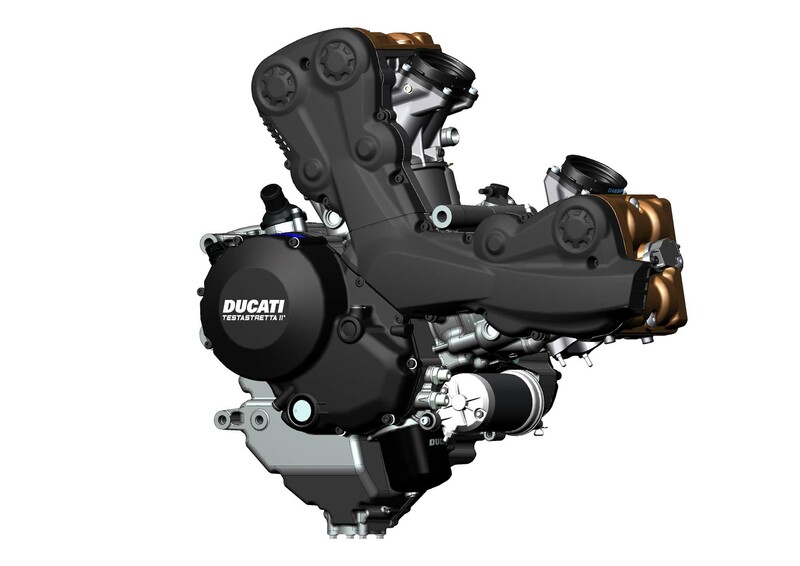 Ducati has also brought over the Testastretta 11° engine, which made its first debut on the Ducati Multistrada 1200, and then found its way onto the Ducati Diavel. 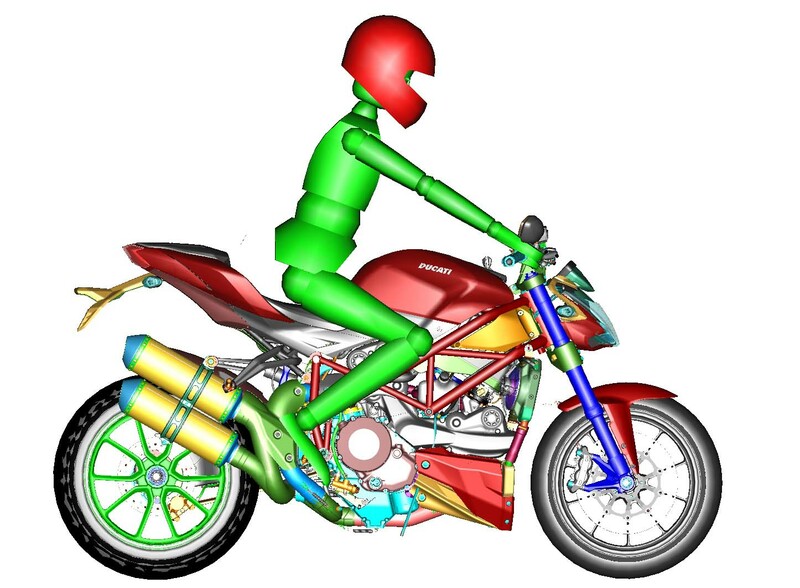 Smoother and easier to operate, the new Streetfighter’s 849cc motor may be down on power compared to its Superbike counterpart (132 hp at its peak, compared to the Superbike 848 EVO’s 140hp), but the SF848 has a much flatter torque curve and a power band that extends into a more useable range for urban and aggressive street riding. 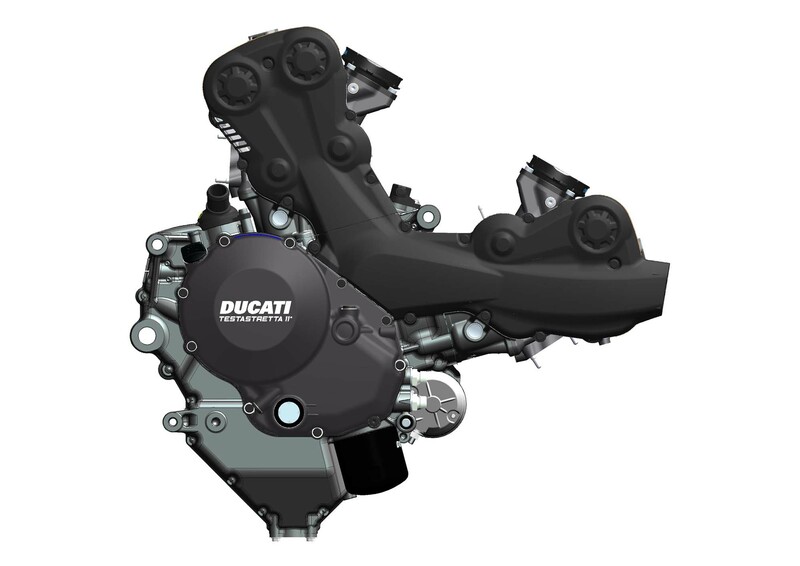 When compared to its predecessor, just about the only thing we don’t like about the Ducati Streetfighter 848 is the foot clearance issue with the shotgun exhaust, which limits the movement of a rider’s right foot on the Streetfighter’s peg. 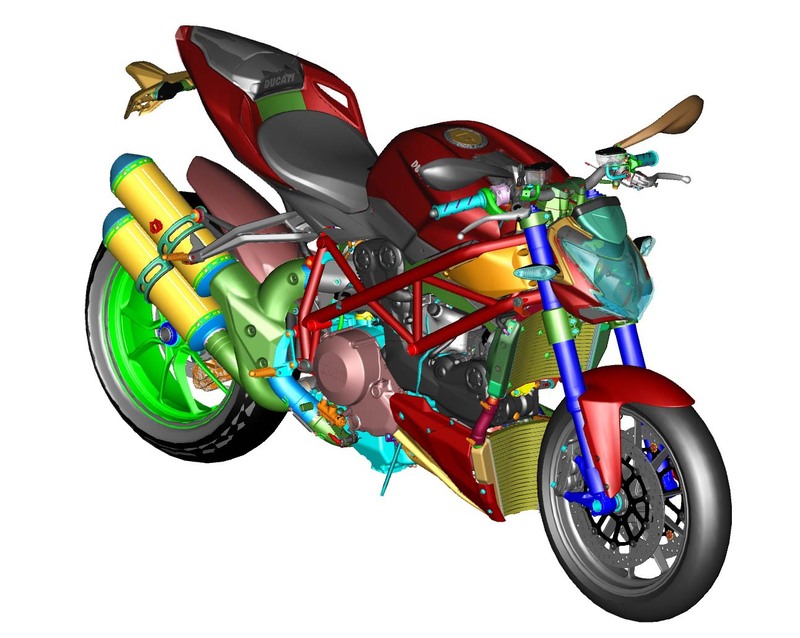 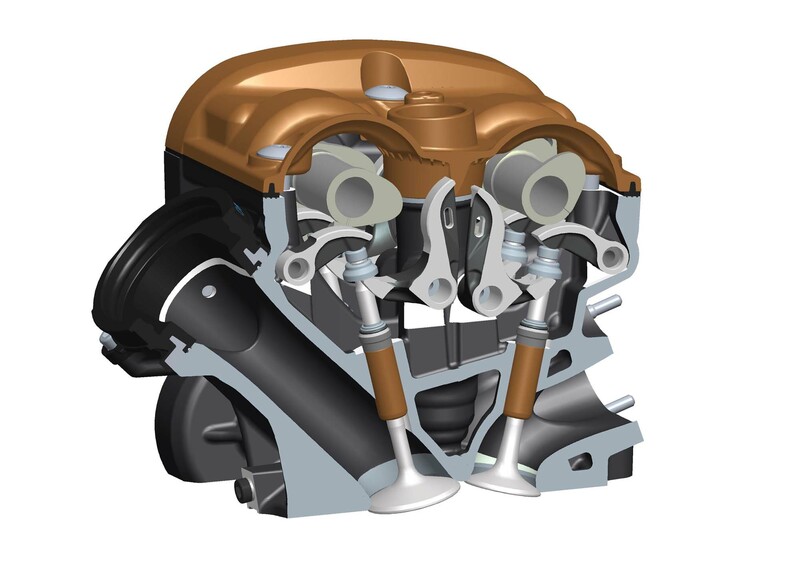 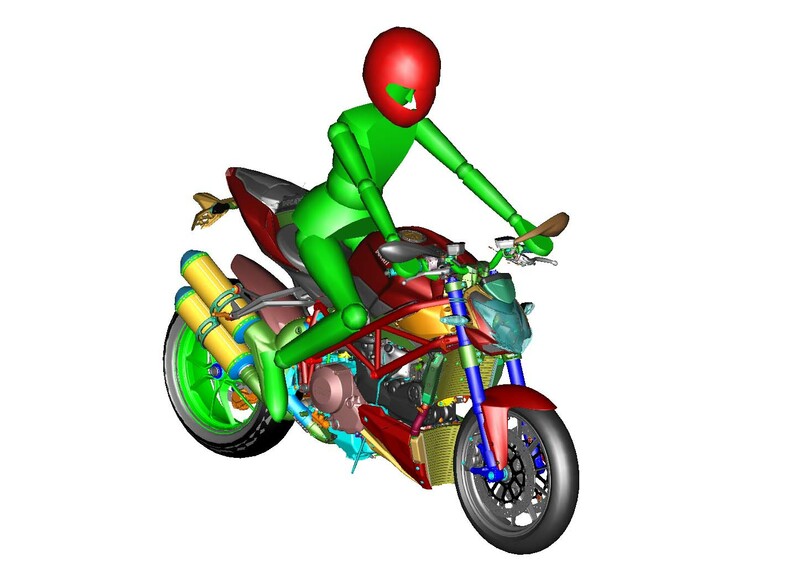 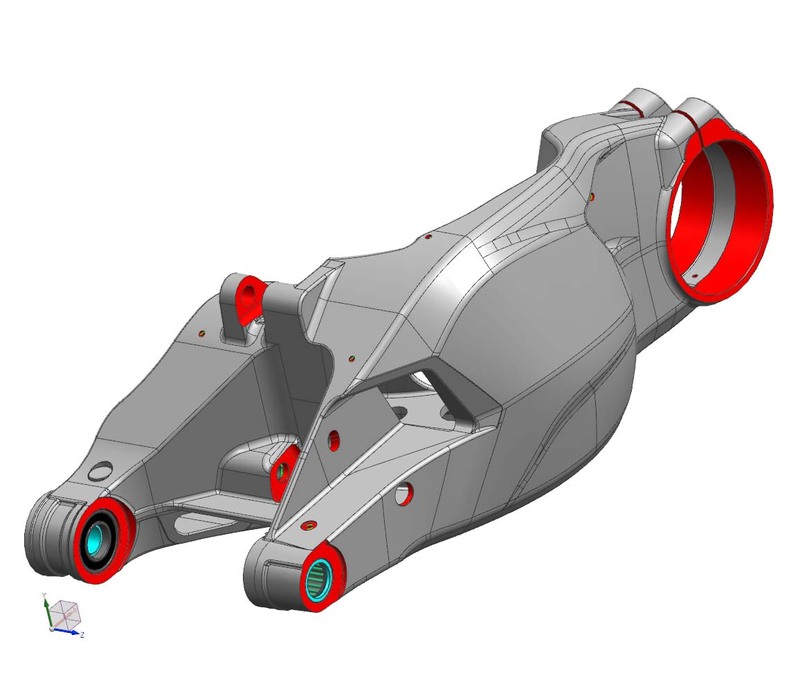 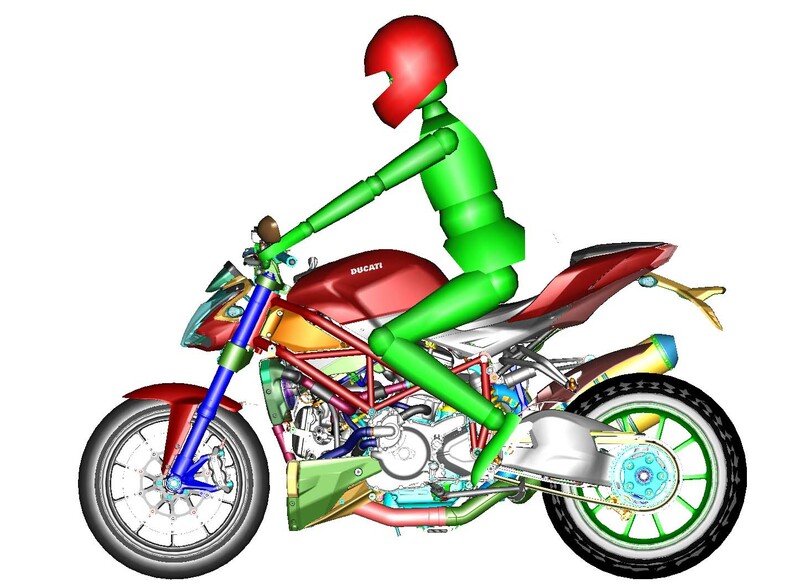 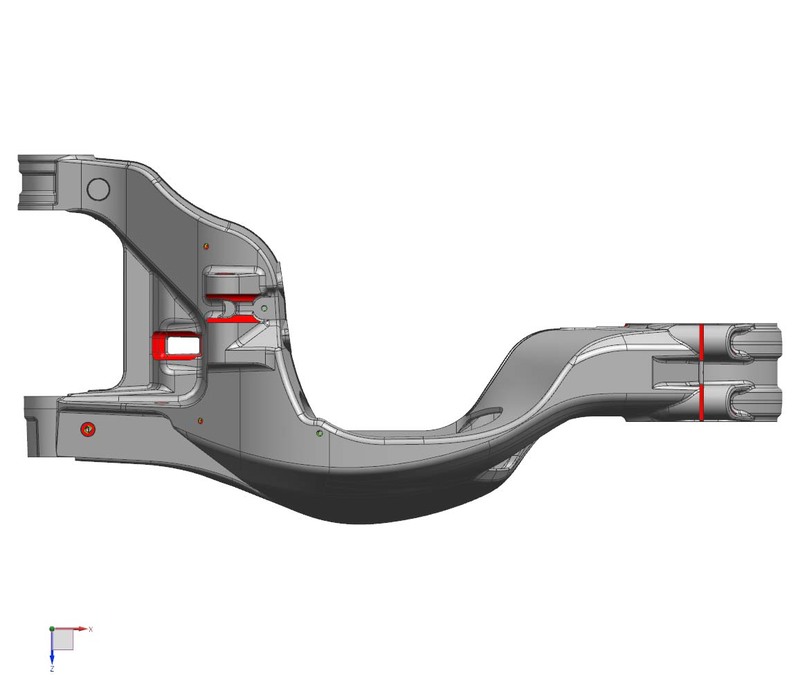 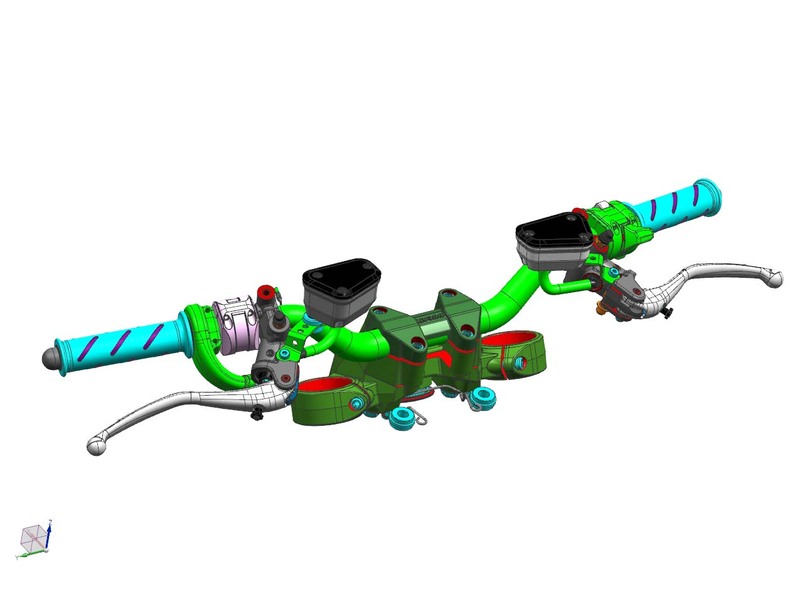 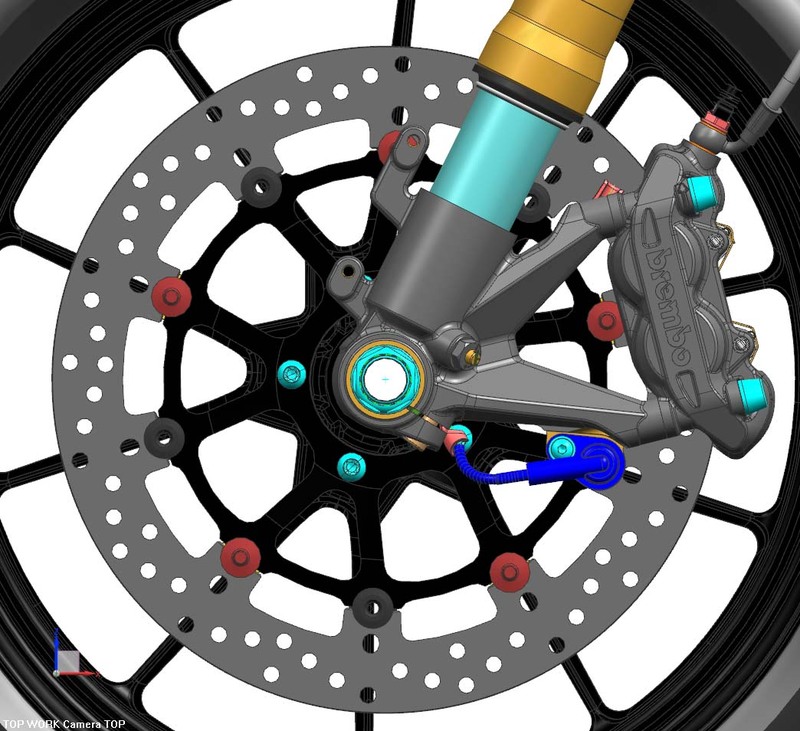 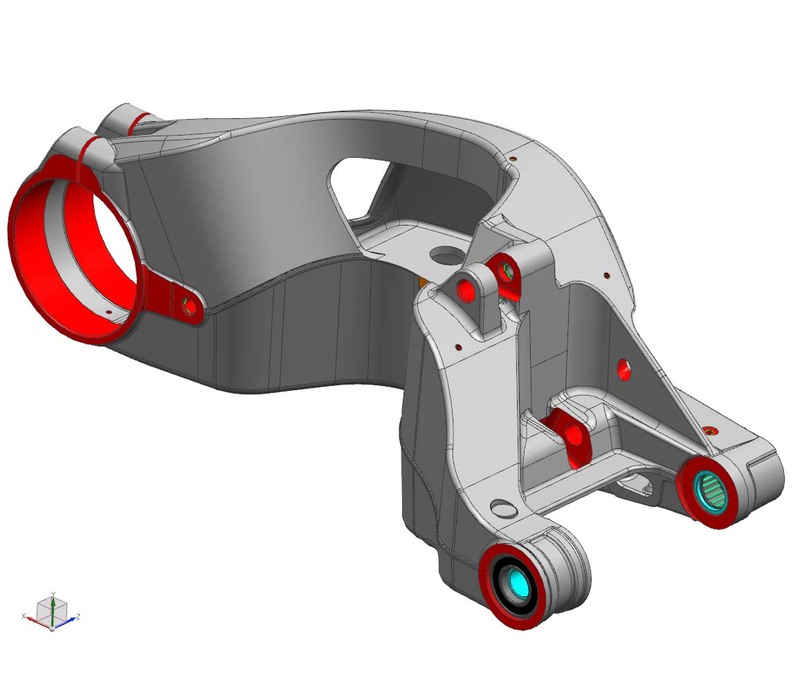 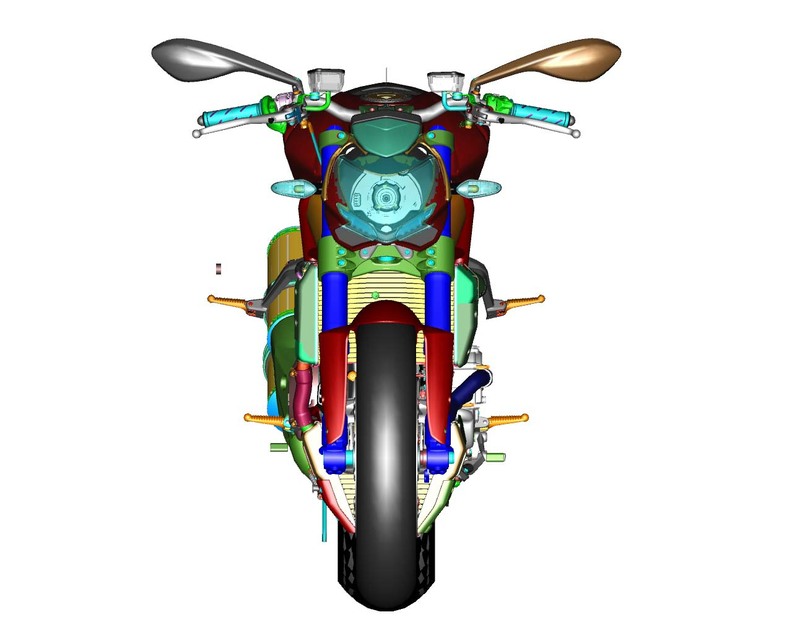 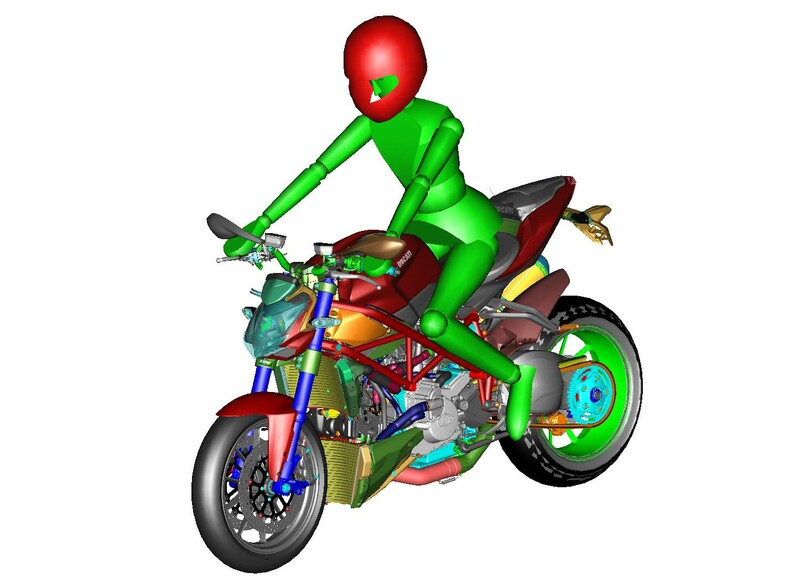 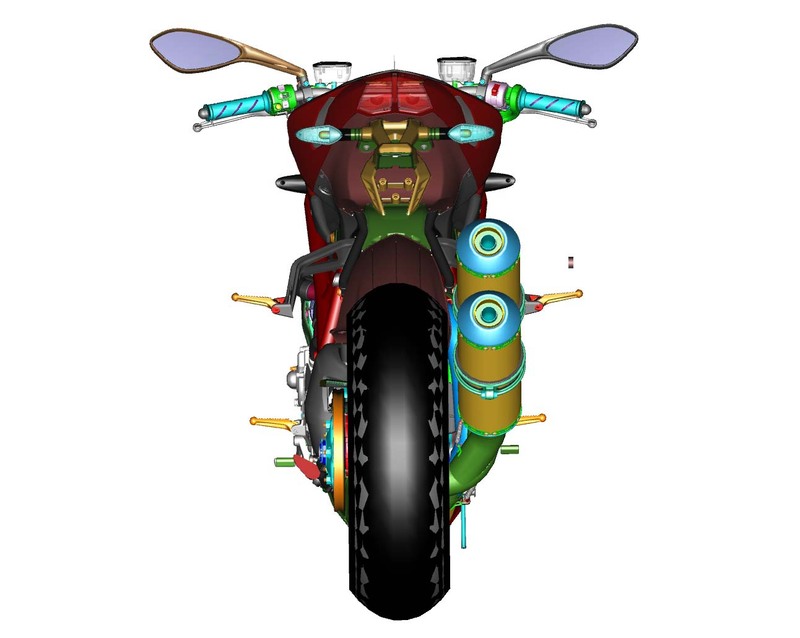 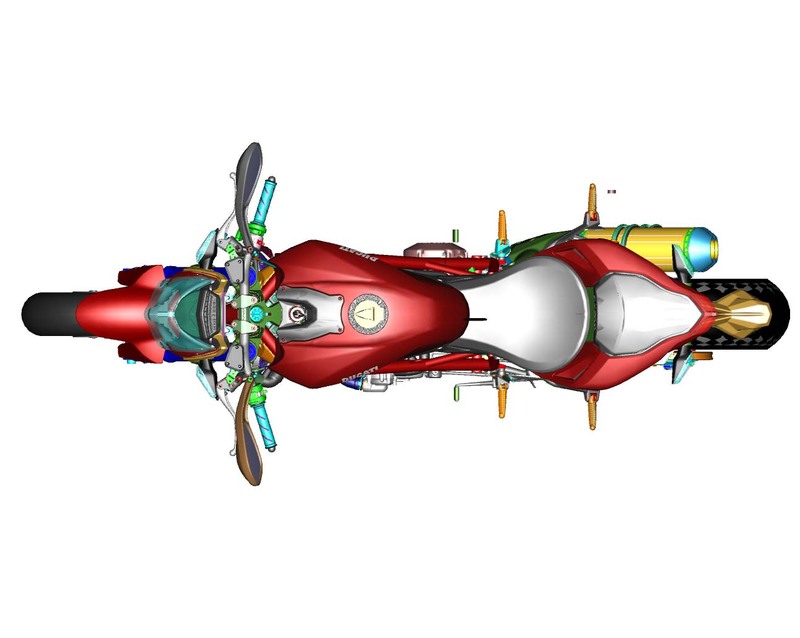 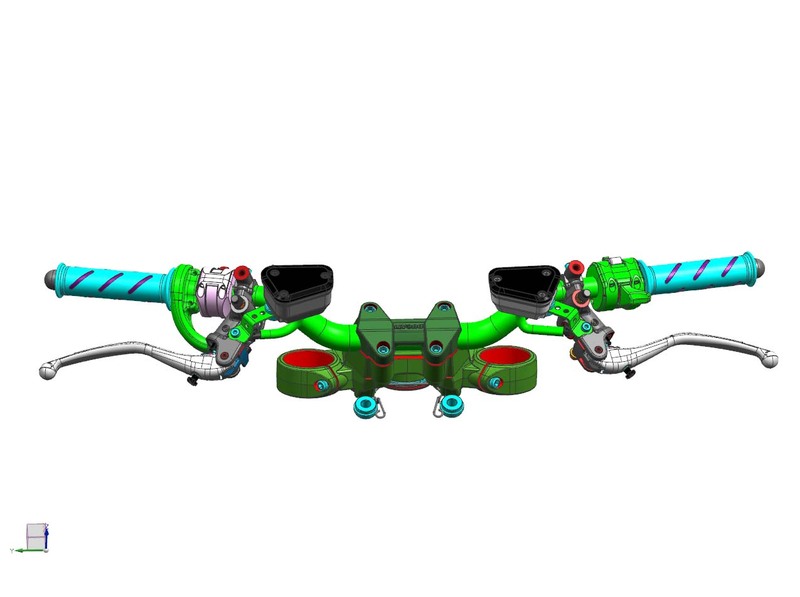 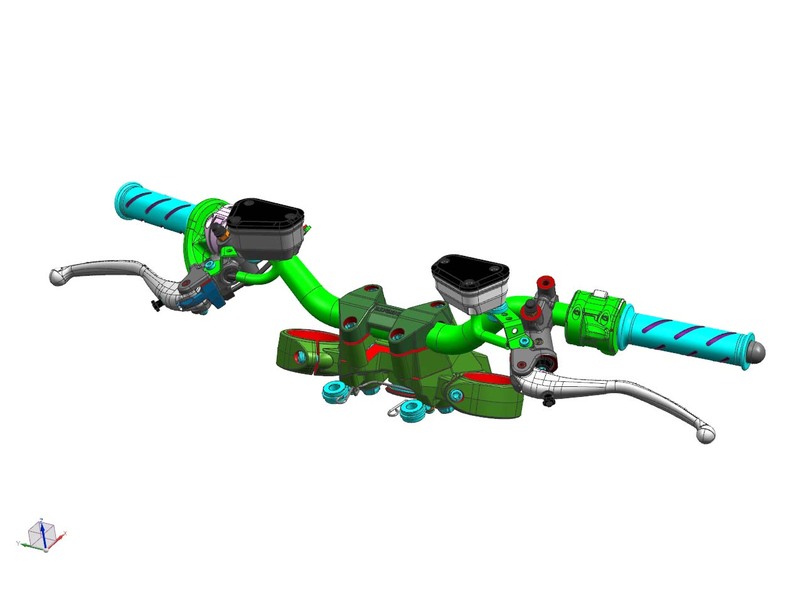 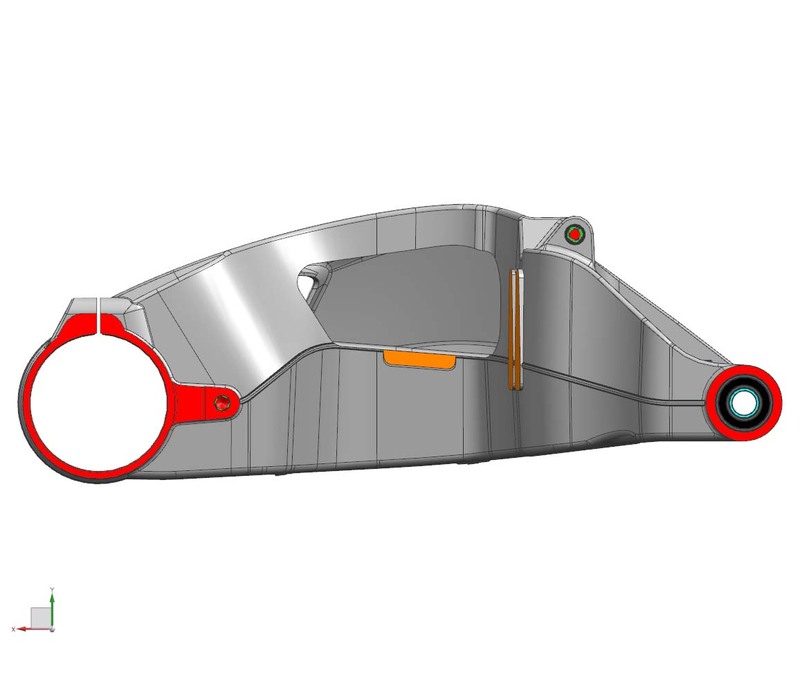 Releasing these CAD drawings at the 2012 Ducati Streetfighter 848 US press launch, maybe some eagle-eyed industrial designers can come up with a solution for this reporter’s kneecap. 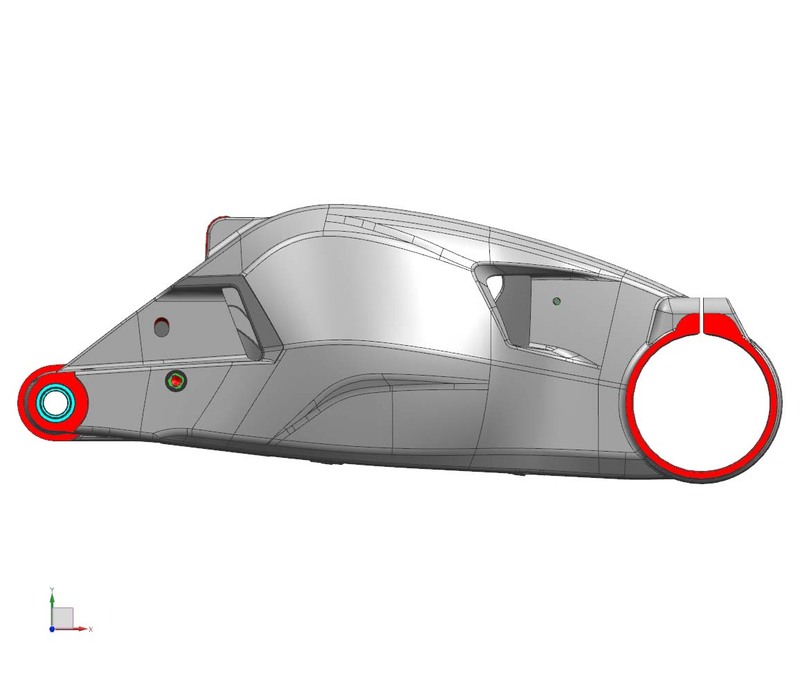 CAD renders after the jump.